After a disastrous turn of events that would have stranded me at the Atlanta airport for hours on end, I decided to jump in the car and drive back to Orlando with my mom and fly out of MCO the next morning. During our six hour drive, we made plans to stop in Gainesville, which is a town I have not checked out yet as a blogger. 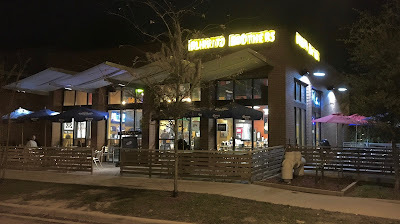 As I searched for a gluten-free friendly place to check out in the college town, I selected Burrito Brothers, which is a Gainesville institution Specializing in Americanized Mexican food, it would be my first opportunity to check out a genre of Mexican food that's normally off limits to gluten-free folks. Burrito Brothers keeps it simple, focusing their menu on tacos, burritos, and enchiladas. Only corn tortillas are fried in the fryer, which means that their chips and crispy taco shells are safe. Everything else can be gluten-free except for tempeh, flour tortillas, jicama slaw, chipotle salsa, and red rice. Dairy-containing items include cheese, queso, guac, and sweet potatoes. Other than that? You're safe. When I ordered, I asked the staff to change gloves, and they were cool with doing that to prevent cross contamination. I ordered three chicken tacos in crispy corn tortillas topped with lettuce and tomato salsa. 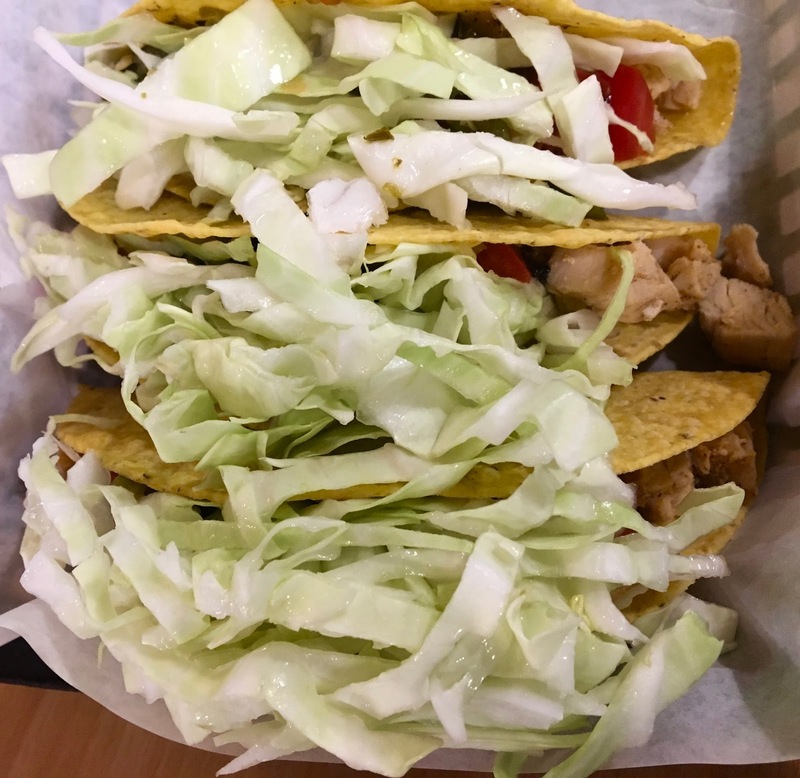 As a packaging note, I liked how the tacos were individually wrapped to minimize the mess (though I unwrapped them for the picture). I liked the sturdiness of the tortillas, which held up to multiple bites. These weren't one-bite tacos. The chicken was doled out in ample proportion and was seasoned lightly. The salsa and lettuce were fresh, if not overly flavorful. Overall the tacos were definitely satisfying, but maybe not the best I've ever had. I'm totally head over heels for the traditional preparation of tacos (onions and cilantro w/ soft corn tortillas), and these just were a notch below the best taco joints I've visited. Nevertheless, Burrito Brothers does scratch the itch for Americanized tacos. 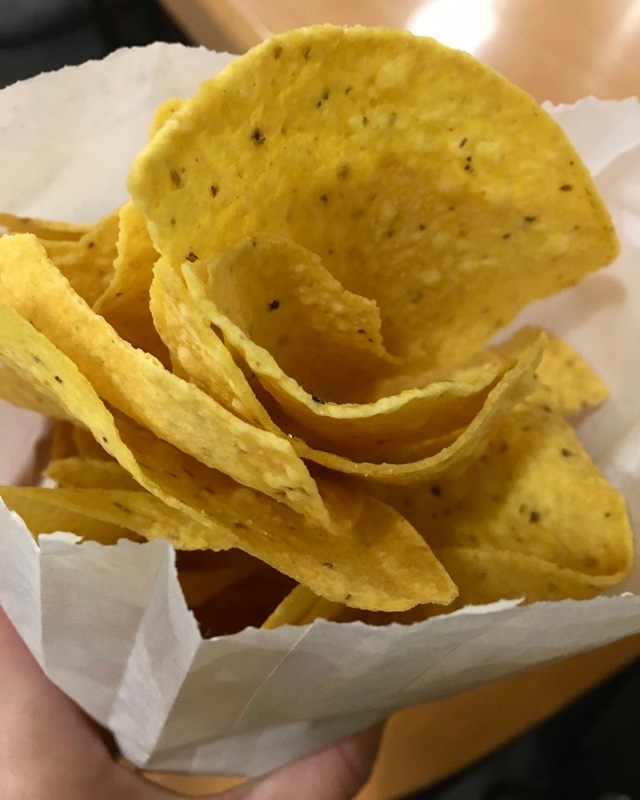 Since the chips were safe, I ordered a side of tortilla chips to go. I liked their thickness and crunchiness, but wish they had a bit more salt for flavoring. I was glad I got a side order to go because I could have probably eaten an endless amount of these if given the change. My only regret? Not getting tomato salsa to-go for pairing. Burrito Brothers is definitely a good option to find comfort-food style Mexican cuisine whether you're just passing through Gainesville (as I was) or you're a resident of the town. Are you a Florida native who misses Tijuana Flats? Burrito Bros is way better (and actually gluten-free safe). Highlights of my visit were the rare ability to enjoy hard taco shells, the dedicated fryer, and the affordable prices.